Get our fab 5:2 diet app on iPad, iPhone or Android device for just £1.99! Thinking of giving the 5:2 diet a go? Now’s the time to download our 5:2 diet app, available on iPhone, iPad and NEW to Android. Our bestselling 5:2 app contains 101 simple to follow recipes, including more single-serving meals, and easy on the go lunches, as requested by you! Plus snacks, calorie count lists and tips for 500-calorie diet days. 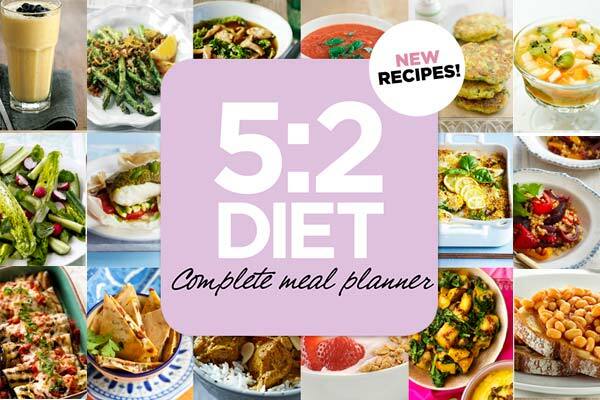 This easy to use menu planner makes following the 5:2 diet simpler and tastier…DOWNLOAD via your Apple or Android device today. If your 5:2 app is running slowly, you can increase the speed by closing down any additional apps you have operating in the background of your smartphone to free up memory space – this can be done by double-tapping the Center cursor on your iPhone > swiping ‘up’ on each app that is displayed on your phone > tapping the Center cursor to close down this function. If you should encounter any problems, please email our dedicated support team: 52_diet_tech_support@ipcmedia.com and we’ll do our best to help you resolve the issue. iOS: Requires iOS 6.1 or later. Compatible with iPhone, iPad, and iPod touch. This app is optimised for iPhone 5 and iPhone 6.